Just as well it is September and not May or we would never get you inside to see the great dance happening this week! Come on in out of the sun – looks like it will be around for a while! Want to try out something new? This weekend Saturday Sept 13 is the Dance Centre’s Open House. Don’t miss the opportunity to sample a host of dance styles in a day of free open classes, studio showings and events. Participating companies and artists include Shay Kuebler/Radical System Arts, Kinesis Dance somatheatro, Polymer Dance, TomoeArts and a diverse selection of local dance artists and companies working across many different dance traditions. Go here for a full schedule of events, many of which are FREE!! Saturday September 13 and Sunday September 14, as part of the Fringe Festival, Hong Kong choreographer Iris Lau brings us Definition of Time, a piece about the fragmented narrative of time. At the Cultch, Saturday 5:30, Sunday 2:30pm. Tix $14. Wednesday September 17 MACHiNENOiSY presents The Fur Will Fly. One evening – two performances: Tortoise Hair, explores the male persona inspired by the myth of the satyr and the mystery of the cowboy. This “wild” solo was originally created in 2000 by choreographer Cornelius Fischer-Credo for MACHiNENOiSY’s artistic director Daelik, and will be performed by Diego Romero…but some of us are looking at the stars, a new solo created for Olivia Shaffer. Performed by Olivia and assisted by Daelik, this dance was inspired by research about the Soviet Union’s early space program. At the Scotiabank Dance Centre, 8pm. Tickets $20 at the door. Ever heard of New Works? 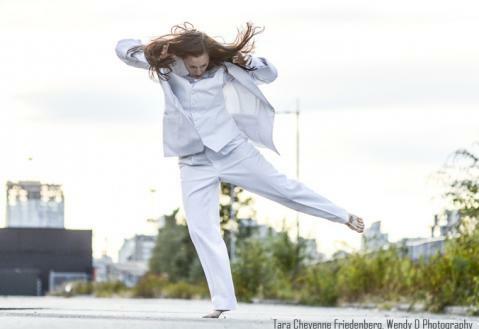 Well among other things they manage some of Vancouver’s most exciting dance companies. September 18 you can taste the work of four of these companies all in one evening – one stage, one night only! The evening will feature a mixed program, including excerpts of critically acclaimed repertoire presented to sold-out audiences earlier this year, and a sneak peak of exciting upcoming work from Vancouver’s hottest dance companies: the response., 605 Collective, Out Innerspace Dance Theatre, and Tara Cheyenne Performance. At the Orpheum Theatre, 8pm Tix. Photo by Wendy D.
~ by DanceHouse on September 12, 2014.